Shoulder joint is one of the most complex joints in the body. If you are feeling pain on the shoulders, call us or request an appointment online to be treated by Dr. Thomas and the team, the leading orthopedic physical therapist in Baltimore, MD! The shoulder is one of the largest and most complex joints in the body. So when something goes wrong with one of the structures involved in this joint, the pain cannot be ignored. If you suffer from aches and pains in the shoulder, you do not need to be told how much it can disrupt your life. Take heart, however - there is usually something that can be done! 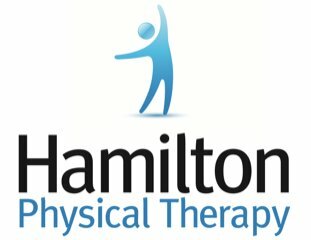 Talk to a qualified physical therapist at Hamilton Physical Therapy today if you are ready to work towards being pain free. Start the conversation by calling 410-444-2770, or booking an appointment online! Trauma. Broken bones, dislocations and shoulder separations are often to blame for trauma-based shoulder pain. Tendinitis. This pain is usually associated with some activity such as heavy or repetitive lifting. This type of pain also goes away with rest. Rotator cuff tear. The rotator cuff is a group of four muscles that allows you to carry out many key movements of the arm. Often, an injury in this area affects the tendons. Impingement syndrome. This condition involves shoulder pain caused by connective tissue (a tendon) rubbing on a bone. It’s very painful and often does not go away without treatment. Calcific tendinitis. This particular shoulder pain is more common in people with endocrine disorders. The condition is characterized by the presence of hydroxyapatite in a tendon, causing pain and inflammation. Frozen shoulder. This final common condition causes the shoulder to become stiff and painful. It's likely to affect those with a hormonal imbalance, diabetes, or a weakened immune system, as well as patients who experience a long period of inactivity due to an injury, illness, or surgery. Your age, occupation and previous injuries may also be factors in the development of shoulder pain. How Will a Therapist Diagnose The Cause of Shoulder Pain? Believe it or not, sometimes your shoulder pain may not be due to a problem in the shoulder. The neck contains several nerves that can cause pain that radiates into the upper body. With this in mind, your therapist may review x-ray or other imaging studies of your neck as well as your shoulder to evaluate your condition. The final diagnosis usually can be based on this evaluation. If you have had an injury - or repeated injuries - this may help narrow down the causes of the pain. Many doctors also carry out a physical examination to see what sorts of movements trigger your shoulder pain, and to get an idea of exactly how and where the aches are presenting. Treatment for shoulder pain due to tissue damage usually involves physical therapy, sometimes in combination with a cortisone injection, to relieve pain and inflammation. A physical therapist will observe how you use your shoulder and help you adjust your movements to strengthen the rotator cuff muscles. Ice or heat therapy, as well as anti-inflammatory medication, may also be prescribed to assist in the healing process and with pain management. When Should I Seek a Consultation? If your shoulder pain has developed and worsened over time, or you are experiencing persistent aching, it's a good idea to check with your doctor and ask for an exam. The longer you have pain, the more likely it is that your shoulder movement will become limited, and you may not be able to lift your arm over your head - a condition called "frozen shoulder." At Hamilton Physical Therapy, we will perform a physical exam to diagnose the type of problem affecting you. Based on our findings, we can develop a personalized treatment and therapy plan targeting the source of your shoulder pain. Call us at 410-444-2770 or book an appointment online to start your care journey today!